Investment opportunities in today’s Iraq vary in terms of their type, size, scope, purpose and sector structure. 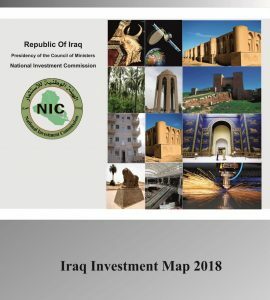 Investors will find the way open for them to establish, operate or develop projects in line with their wishes, and according to the diverse and growing needs of the Iraqi population. The location of Iraq at the center of the world’s trade routes gives it a significant advantage, which combined with the diversity of unique natural resources, helps to provide a decent standard of living. 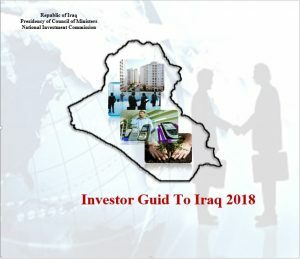 The country’s characteristics create many opportunities for investors, suppliers, transporters, developers, producers, manufacturers and financiers who will find many tools that will help them build relationships and establish new projects; to develop markets and establish mutually beneficial business connections.